The Morgan played an integral role in the development of the West in the 1800s and early 1900s, carrying settlers to their new homes, working the cattle on their cattle ranches, packing their owners into the mountains to hunt, and playing rodeo games on their days off. 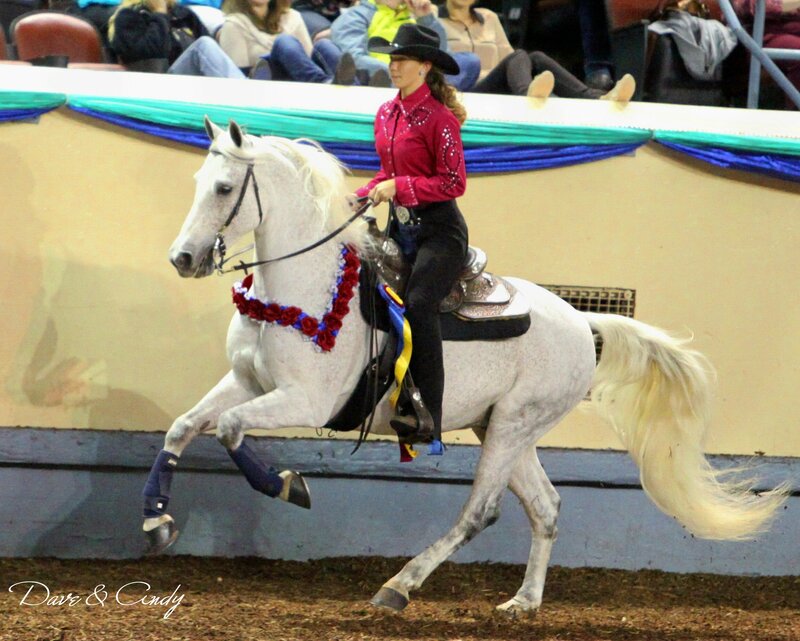 Things have changed some through the years, but these western working Morgans continue to excel at what they do. 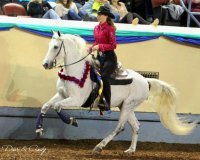 The governing body for the Reining division, the National Reining Horse Association, www.nrha.com, has designed a judging system that gives all breeds an equal chance at being judged on an equal basis by judges. On the ranch, the cutting pen is a pretty good size corral where the herd is brought in and the ranch hands proceed to cut out certain cattle that need to be separated. 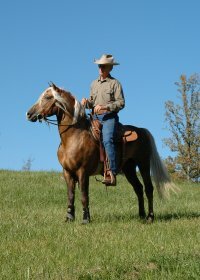 Cutting competitions are derived from this necessary work on the ranch and have become more of an art form. In cutting competition, the judge focuses on many different things: how the horse enters the herd, how difficult the cow is to handle, how well the horse makes the moves to keep the cow in front of the herd. 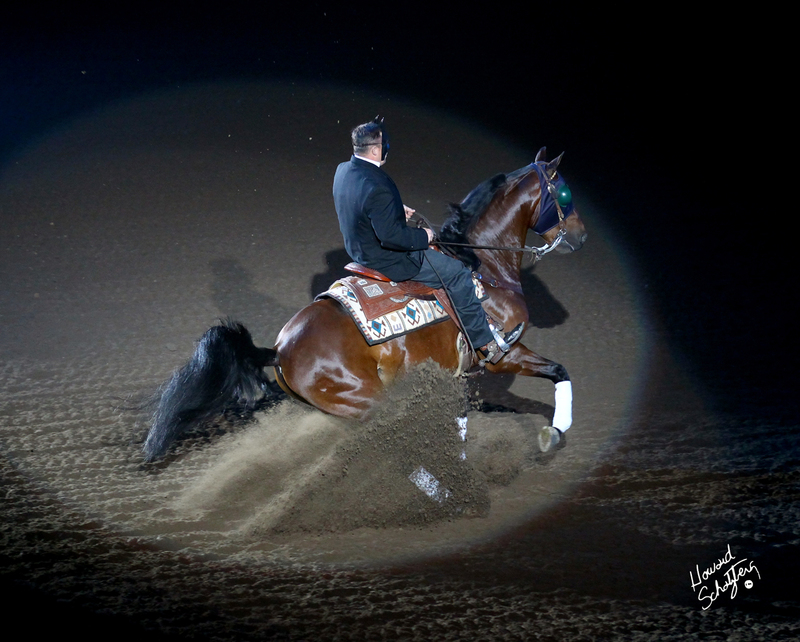 Cutting in the arena is done with a team of five riders and is challenging and exciting for both the horse and rider. 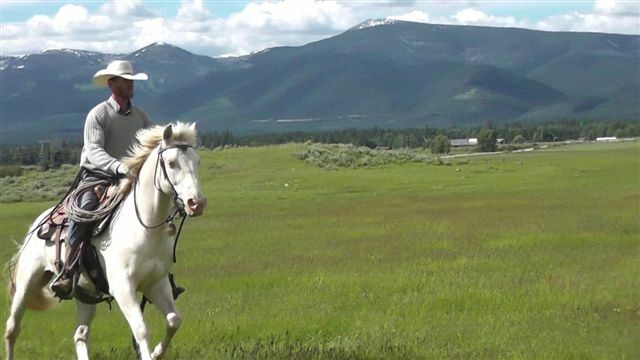 Reliability, dependability, and all around great service is what you can expect from your Morgan ranch horse. Used for generations on working cattle ranches in the west, the Morgan excels at ranch chores and makes a wonderful companion for the long ranch day. Ranchers have long known that their Morgans excel at ranch work because of their athletic ability, sound conformation and mind, and good work ethic. 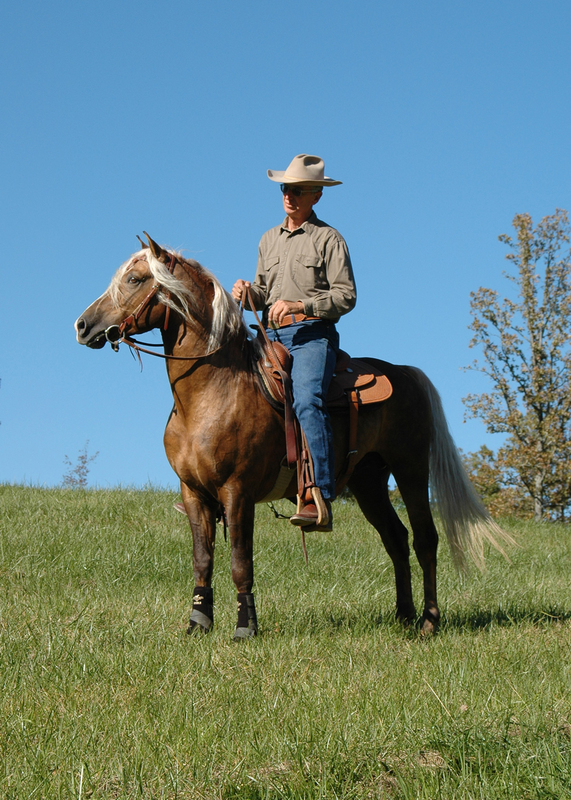 Many notable ranches introduced Morgan blood into their working stock to improve the quality of their herds. 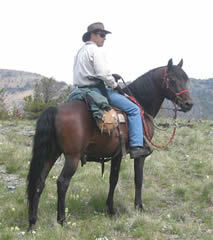 Some of the working ranches used, and still use, Morgans exclusively. Rodeo and Gaming, as competitive sports, evolved from the hardworking lifestyle of the western cowboy. 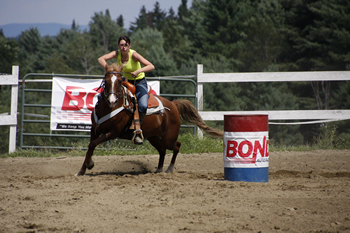 These timed events include calf roping, team roping, barrel racing, goat tying, pole bending, break away roping, and many more. The athleticism of our Morgan horses makes them excellent partners in these events. 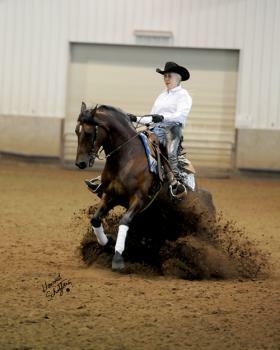 A fast-growing equine sport, team penning is an enjoyable event for all riders. The object is for a team of three riders to sort three assigned cattle from a herd of 30. 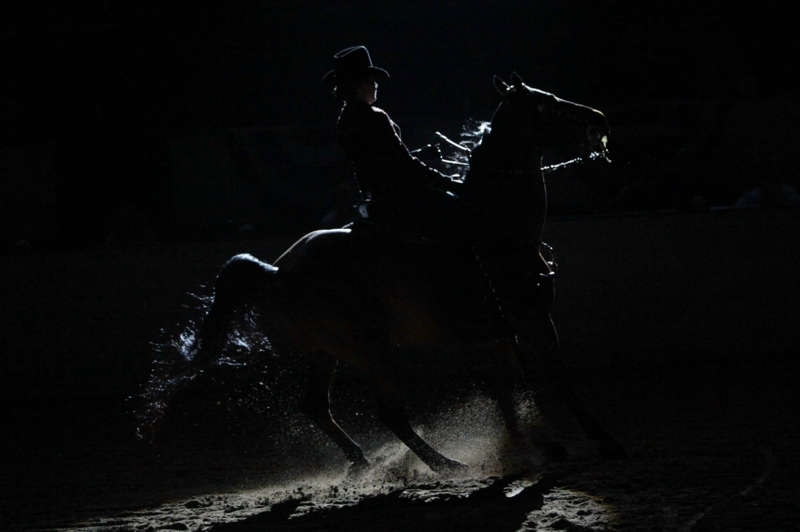 The riders must then herd the three cattle into a pen at one end of the arena--all in less than 90 seconds. The fastest time, penning the most cattle wins. 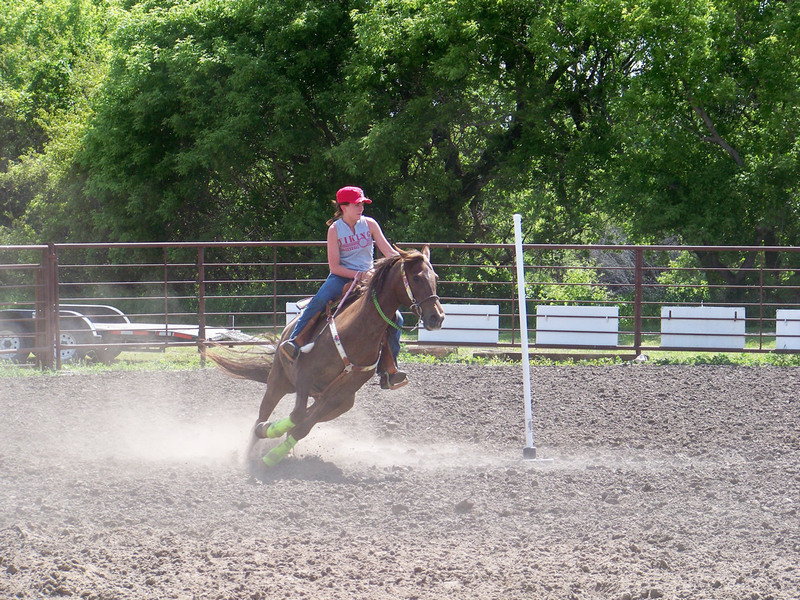 Penning is a great sport for families to compete in together. 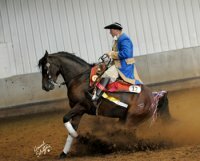 For more information, contact the National Penning Association at www.ustpa.com. The Working Cow Horse event is exactly what the name implies and shows the versatility of the working western horse. 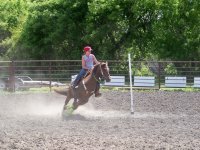 There are three portions: reining, cutting, and fence work. 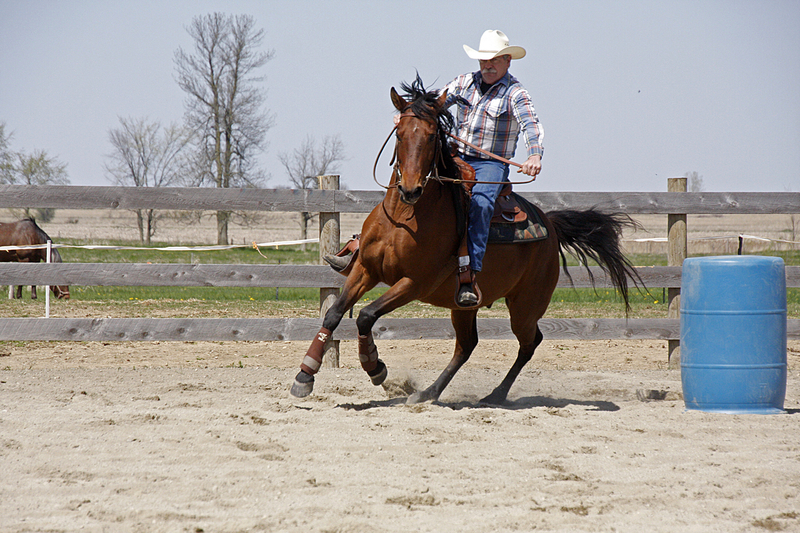 A working cow horse has to perform a reining pattern, cut cows, and then show that it can control a cow both in the open and along a fence line. Please click on the photo for a larger image of these outstanding Morgans! What Can a Morgan Do?